Google Chrome is a the most popular desktop browser. With the use of various apps and extension, we can do lot more things on Chrome. Start page of Google Chrome brings grid view of the websites which we visit more frequently on the browser. But what if you want to have more than just these websites. You can try few extensions which can modify your browser’s start page to make it more productive. In this post, we are adding 5 Google Chrome extensions which can make Google Chrome’s start page better, more attractive and productive. 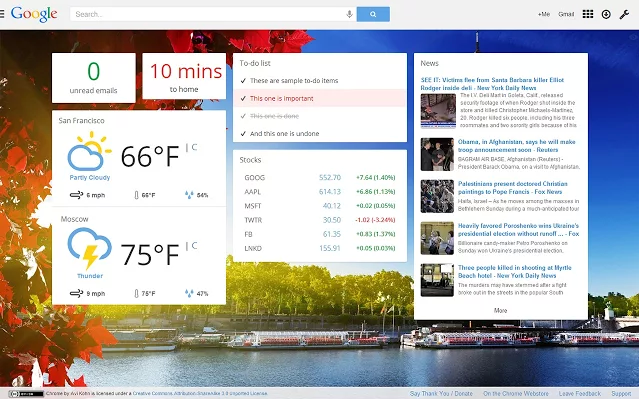 Try any of these best chrome new tab page and make your browser better. 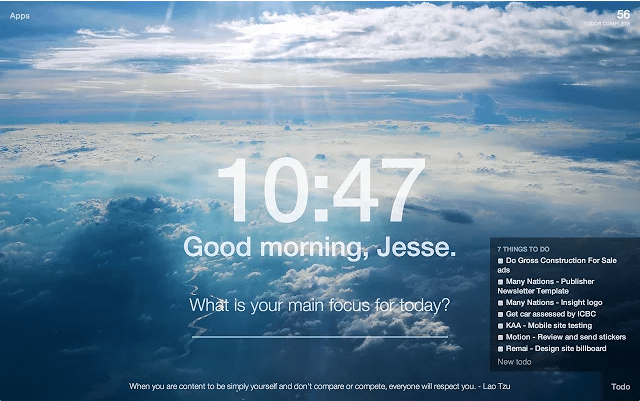 Momentum is a nice Google Chrome new tab replacement extension. It makes your new tab page a personal dashboard with features like todo list, weather, daily goals, and motivational quotes. It also showcases inspirational photographs which also beautify your browser. If you want to go back to default Chrome home page, you can use the “Apps” link at the top left side of the start page. The only thing I hated is the size of the extension. Currently is a simple extension to replace “New tab” page. It display the current system time and weather information. You can also customize the look and feel of the new tab page from settings. iChrome New Tab claims to be most advanced new tab extension available for Google Chrome. And if you look at the features, you will also say that they are claiming right. 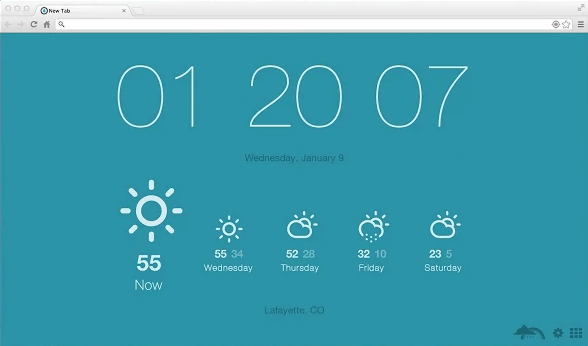 It comes with 32 customizable widgets to add a new tab page. You can get time, email, weather, news, stock, Rss feeds, YouTube videos, to-do list and many more. OneFeed is another nice Google Chrome extension to make your new tab page more productive for you. 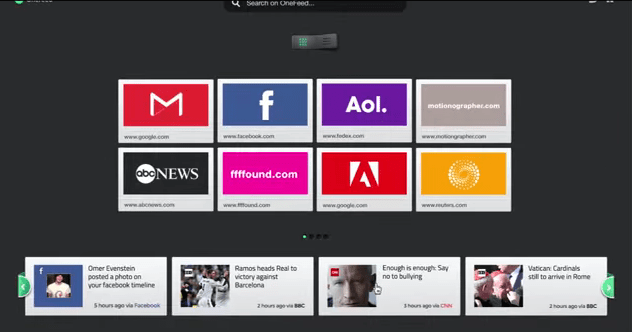 This extension brings the feeds from various social networks and blogs and show on the new tab page. It also has a notification center to get notification of new email or Facebook message. 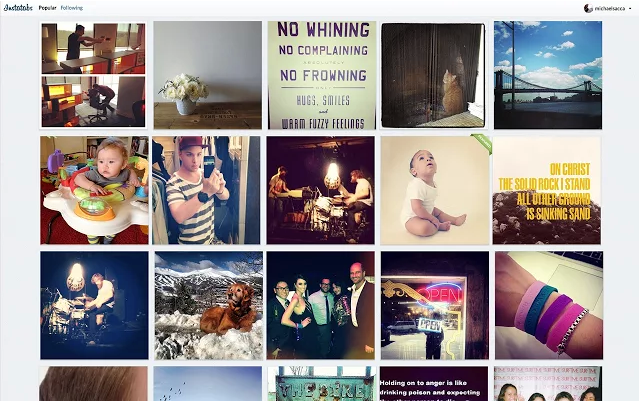 Instatabs brings your instagram feeds everytime you are on start tab. You cannot upload new photos or share. But you can see the feed in the grid of six. You can watch videos, interact, like and comment direct from instabs new tab page. What Start tab extension do you use on your browser? Share it with us via comments.